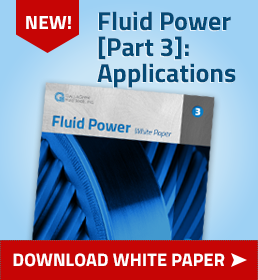 Perfluoroelastomers Archives - Gallagher Fluid Seals, Inc.
Gallagher recently released our High Performance Elastomer Seals for the Instrumentation Industry White Paper. 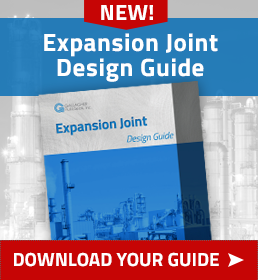 This was written by Russ Schnell, an Elastomer Consultant contracted by Gallagher Fluid Seals, and a former Senior Application Engineer with the Kalrez® perfluoroelastomer parts business at DuPont. 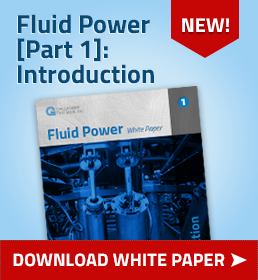 This white paper is now available for download on our Resources page. Below is the third and final section of the white paper, which will discuss the importance of proper seal and groove design. 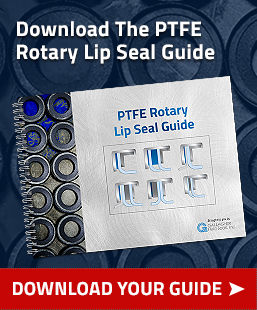 Proper seal design is a necessity for elastomer seals to perform reliably over the long term. Many of the instrument applications mentioned above use o-ring seals. 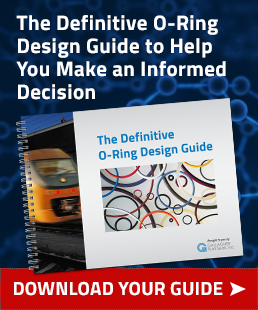 The suggested compression for an elastomer o-ring seal to perform properly is typically a minimum of 16%, and a maximum of 30%. However, this range must also take into account the thermal expansion of an elastomer at elevated temperatures as well as any swell due to chemical exposure. Many of the elastomer seals used in instruments are small o-rings, which can create design issues. This is especially true for perfluoroelastomer parts which have a relatively high coefficient of thermal expansion (CTE). Fluoroelastomers have a lower CTE, making seal design easier at elevated temperatures. Below is the second section of the white paper, diving into applications where the measurement is made in analytical laboratories which employ numerous solvents in a wide range of analyses and test equipment. The final set of instrumentation is laboratory test equipment. As opposed to the laboratories in chemical plants, which often perform the same routine analyses on plant process streams, general analytical labs employ numerous solvents in a wide range of analyses and test equipment. As such, the ability of seals to resist a breadth of chemicals without degradation or leaching contaminants into a sample is of great importance. Although instrument seals are easily replaced in a laboratory environment, this operation still takes a technician time. It is always easier if the system can be flushed with a cleaning solvent and then be ready to run the next sample versus having to change out an elastomer seal due to incompatibility with a solvent. FFKMs, also known as perfluoroelastomers, were first developed in the 1960s for applications involving high temperatures and/or aggressive chemicals. Perfluoroelastomers exhibit many properties similar to PTFE (polytetrafluoroethlyene, or Teflon®), and are considered inert in almost all solvents. However, PTFE is a plastic, and when compressed, it will not recover to its original shape. On the other hand, elastomers contain crosslinks, which act as springs to give the material resiliency and the ability to recover after a part has been compressed – this resistance to permanent compression gives the material the ability to maintain a seal over time. 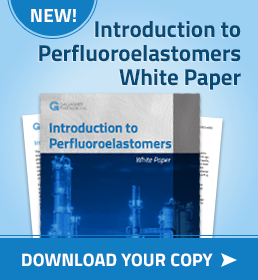 (To learn more about perfluoroelastomers, download our Introduction to Perfluoroelastomers White Paper). The article below was recently published on FlowControlNetwork.com, and discusses how FFKMs are being used in oil & gas exploration, as production companies are increasingly operating in high-pressure, high-temperature (HPHT) downhole conditions. Companies are increasingly operating in high-pressure, high-temperature downhole conditions. Improving technologies and methods to increase the recovery of oil from existing reservoirs is a global challenge. In the U.S., oil production at reservoirs can include three phases: primary, secondary and tertiary (or enhanced) recovery. The U.S. Department of Energy (DOE) estimates that primary recovery methods — which rely on the natural pressure of the reservoir or gravity to drive oil into the wellbore, combined with pumps to bring the oil to the surface — typically tap only 10 percent of a reservoir’s oil. Furthermore, secondary efforts to extend a field’s productive life — generally by injecting water or gas to displace oil and drive it to a production wellbore — still only push recovery totals to between 20 and 40 percent of the original oil in place. Clearly, much untapped oil and gas remains in existing wells. Below is the first section of the white paper, diving into applications where the measurement is made at the process and the results then transmitted to a control system. This section will review the four types of in-line measurement devices, all involving slightly different elastomer sealing applications. Flowmeters are used to measure the flow of liquid. In this section we will only consider the measurement of liquid flow in a closed piping system. Several examples of flow measurement devices include: flowmeters, Venturi tubes and orifice plates. Note that these devices are “in-line” and require isolating the process line to remove and repair, or replace the measurement device. Shutting down a process to remove a device is time consuming, involves loss of production, and may require specific procedures to protect the operators and environment when a line is opened. All of these devices require seals to prevent leakage of the process to the environment and the elastomer seals should last the life of the flowmeter. For aggressive chemicals or high temperature applications, FKM or FFKM seals are an excellent choice. These products offer a long service life and resist deterioration in harsh environments. Gallagher recently published its Failure Modes of Elastomers in the Semiconductor Industry White Paper, now available for download on our site. This white paper discusses common issues that occur with elastomer seals in the semiconductor industry. The excerpt below is the fourth and final section of our new white paper, discussing Volatiles (offgassing) and Particle Generation. To download the white paper in its entirety, visit our Resources Page, or click on the image to the right. Gallagher recently published its Failure Modes for Elastomers in the Semiconductor Industry White Paper, now available for download on our site. 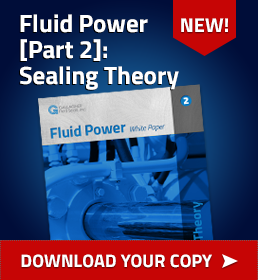 This white paper discusses common issues that occur with elastomer seals in the semiconductor industry. The excerpt below is the second section of our new white paper, discussing Loss of Sealing Force, and Extrusion. To download the white paper in its entirety, visit our Resources Page, or click on the image to the right. Gallagher recently published its Failure Modes of Elastomers in the Semiconductor Industry White Paper, now available for download on our site. This white paper discusses common issues that occur with elastomer seals in the semiconductor industry. The excerpt below is the first section of our new white paper, discussing groove design and seal leakage. To download the entire white paper, visit our Resources Page, or click on the image to the right. Gallagher Fluid Seals recently added a new white paper to its Resources Page, Perfluoroelastomers for the Semiconductor Industry, written by Russ Schnell. 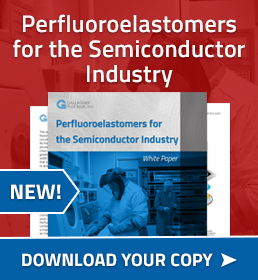 Below is an excerpt from the new white paper discussing the key reasons to choose perfluoroelastomers over fluoroelastomers for semiconductor manufacturing. You can download the white paper in its entirety by clicking on the thumbnail to the right. Lower offgassing than other elastomers, especially at temperatures above 200°C, which lowers the risk of product contamination. Better sealing force retention (lower compression set) at temperatures over 200°C, which is critical for longer service. Best overall chemical resistance of any elastomer family. Formulations with extremely low particle generation in aggressive process environments. Generally higher gas permeation than fluoroelastomers. Higher coefficient of thermal expansion when compared to fluoroelastomers. Proper seal design will account for this and optimize performance. Gallagher Fluid Seals has added a new white paper to its Resources Page, Perfluoroelastomers for the Semiconductor Industry, written by Russ Schnell. Below is an excerpt from the new white paper. You can download it in its entirety by clicking on the thumbnail to the right. The semiconductor industry, one of today’s major industries, produces integrated circuits (chips) which have found their way into everyday devices from toasters to smartphones to high speed computers. Integrated circuits are expected to perform operations faster and faster while attaining ever higher levels of reliability. As these chips become more complex and powerful the process for their manufacture becomes more complicated. Years ago a chip may have gone through 100 steps as underlying circuits were constructed. Now chips may go through more than 400 steps and the complexity of these circuits, and their capability, has greatly increased. This also results in more opportunities for problems during manufacture. Line widths, the width of the electrical pathways, have decreased in order to pack more capacity into each chip. This dictates that contaminants from the production equipment, gas streams, seals, etc., must be essentially eliminated to avoid contamination and chip malfunction.